* To disable the zooming feature, in Touch Rummy go to Options and disable auto-zoom. 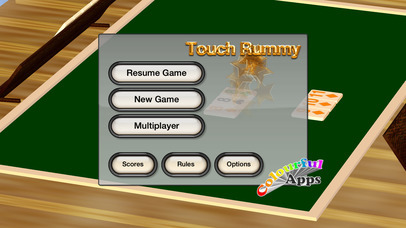 Touch Rummy is a tile Rummy game. Touch Rummy is fun, sometimes difficult, but always entertaining. Play against your device or against other players using a bluetooth or wifi connection. — In 3D and animating, see exactly what you’re doing. — Play against others on an iPod, iPhone or iPad. Игра очень интересная, затягивает. Ни разу не жалею о покупке.